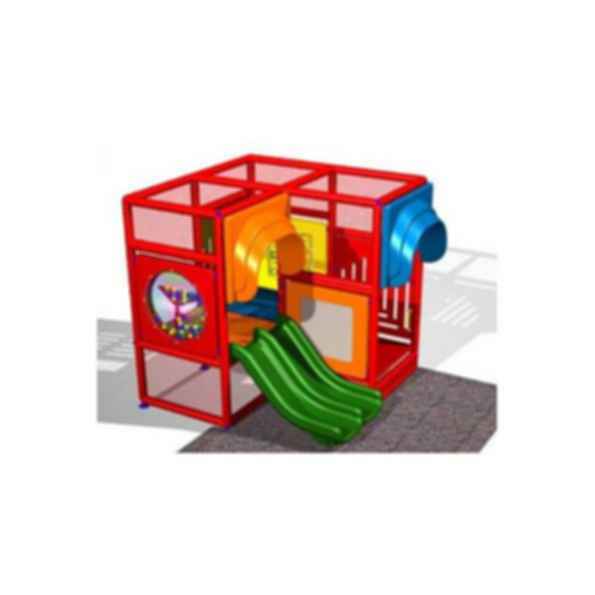 8' x 8' x 8' 6"
The SC series of indoor outdoor soft contained playground units are multi-color visually appealing playgrounds that are designed with imagination, technology, and experience in mind. These playgrounds offer a safe haven for children 2-12 years old in a secure and protective environment suitable for challenging and exploring their own capabilities. The SC series use top quality materials to implement a fully enclosed play structure.